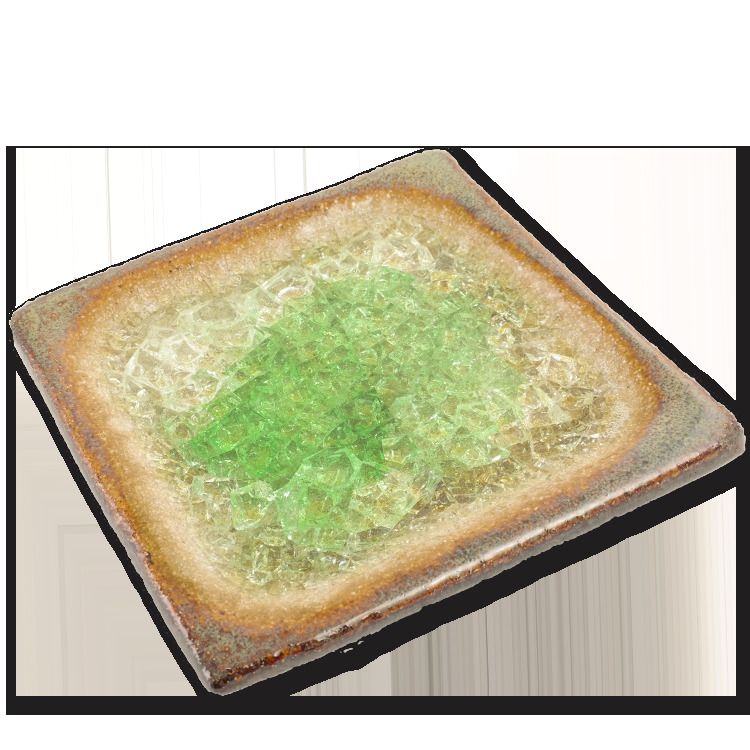 Handmade in Villa Grove Colorado, the fused glass ceramic tray is a testament to function, sustainability and art. Recycled glass is used on top of the glazed ceramics to add a touch of beauty to each piece. The heat resistant 4x4" tray is perfect for placing your cone or vertical incense holder on to catch falling ashes, or it can be used as a cone holder itself!